Eggs come from chickens. Then why do we think they're a dairy product? Maybe it's because of the old-school teachings that eggs should be grouped with milk and cheese when figuring out recommended daily allowances (RDA). Or perhaps it's their location in the grocery store—shelved next to other dairy items like butter, yogurt, and cheese—that adds to the confusion. The speculation could also be attributed to the similarity between the terms "dairy product" and "animal byproduct." Still, despite the reason for the common misconception, eggs are not a dairy product. Dairy products consist of food sources produced by animals with mammary glands like cows, goats, and sheep. And while eggs are, indeed, an animal product, the USDA's food pyramid groups them as a source of protein, similar to meat, poultry, fish, nuts, and beans. Some people choose not to consume dairy products due to a myriad of reasons, including food sensitivities, dietary restrictions, and ethical beliefs. Eggs sometimes fall under this umbrella, too. However, individuals who suffer from milk allergies, or are "lactose intolerant," can generally eat eggs without experiencing the negative results associated with a dairy allergy. That said, according to the American Academy of Allergy, Asthma, and Immunology, both milk, and eggs rank among the top food allergens in children. However, eliminating these items from the diet entirely—for both children and adults—can have major nutritional impacts. It's best to use an elimination diet to figure out the exact culprit for the intolerance before chalking it up to both dairy and eggs. Certain Jewish communities avoid consuming meat and dairy together, as doing so does not abide by their wishes to eat Kosher. Eggs, however, are considered pareve in Jewish culture, meaning they do not contain meat or dairy derivatives and have not been cooked or mixed with such food items. Still, there are some instances when eggs are not consumed in the Jewish culture. 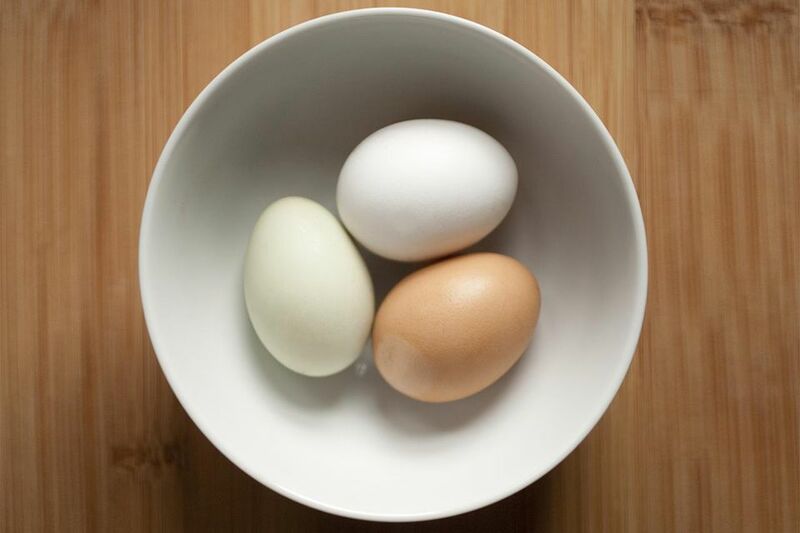 If, when cracked open, the egg contains a blood spot (or is fertilized), this changes the status of the food, causing it to fall into the meat category. In this instance, it is refrained from being eaten. If you have a dairy or egg intolerance—or if you'd like try the vegan diet on for size—dairy- and egg-free recipes can often be found in most vegan cookbooks and on vegan websites. The most challenging dairy- and egg-free recipes to make are the desserts, however. Sill, there are tried-and-true dessert recipes including pies, cakes, cheesecakes, cookies, ice cream, and puddings. This chocolate marble cake, void of eggs and butter, is both tasty and impressive. And it doesn't need frosting! This clever recipe for banana chocolate brownies replaces the bananas for the eggs and uses soy milk and dairy-free chocolate to satisfy your chocolate craving. And have you ever heard of a dairy- and egg-free cheesecake? This vegan cheesecake, infused with lime, won't have you missing any of the traditional ingredients.